Copper alloys have high resistance against corrosion. 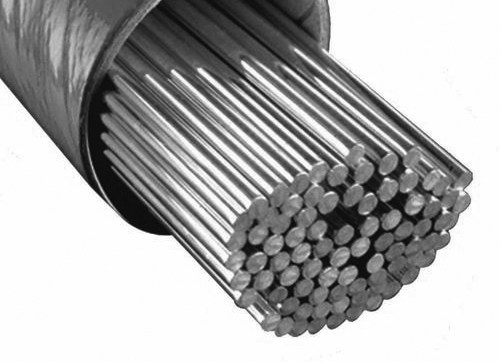 Alloys International provide a full range of Copper Based Alloys for fabrication, repair and maintenance welding consumables, including Manual Metal Arc Welding Electrodes (MMAW), MIG solid wires & TIG wires. Copper based consumables provide excellent corrosion resistance, and are often used for repair of bronze substrates. DIN 1736 S-NiCu30MnTi AI-0390 is an electrode which is used for welding of MONEL* alloys 400 and 404 to themselves and each other. It can also be used as an overlay on steel after an initial layer of AI-0399. Dissimilar welding applications include joining MONEL* alloys to Nickel 200 and joining MONEL* alloys and Nickel 200 to copper-nickel alloys. This alloy has a high strength, good weldability and excellent temperature and corrosion resistance over a wide range of temperatures. AI-0800-TDS ASME 11C SFA 5.6 : ECu AI-0800 is a pure copper electrode featuring a highly sophisticated coating and depositing perfectly deoxidized weldments, free from porosity. 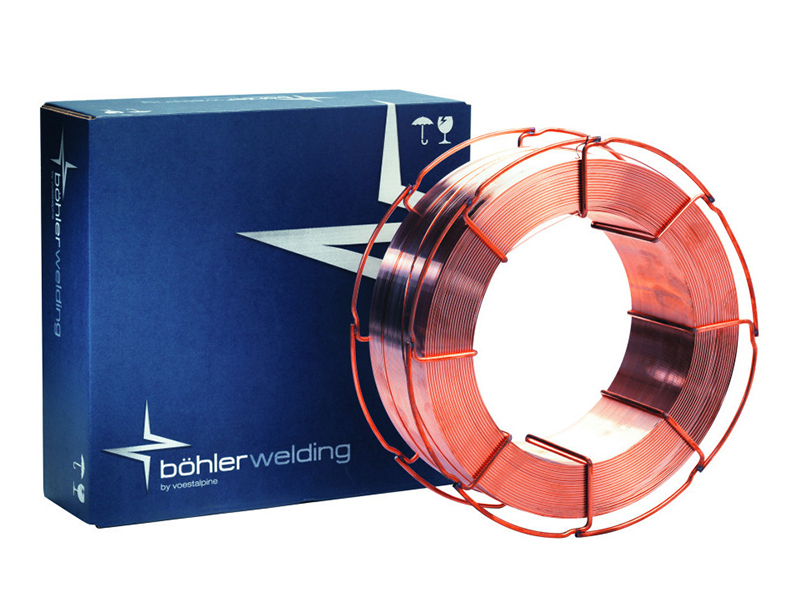 This electrode is not only appropriate for welding copper but also copper and cupronickel alloys. Minimum preheat required for assemblies less than 5mm thick. Applications include: Equipment for chemical, food, brewing and other industries including electrical connections, bus bars, circuit breakers, oxylance repairs, copper wire guides. AI-0801-TDS ASME IIC SFA 5.6: CuAl-A2 Basic coated electrode for welding aluminium bronze and for surfacing of all parts subject to metal-to-metal wear under heavy pressure, combined with corrosion. Applications include: Propellers and shafts; seawater desalination equipment; gears, conveyor screws and friction bearings. AI-0808-TDS AWS/ASME IIC SF A5.6 : ECuSn-C Basic coated electrode for welding and surfacing all types of bronze (particularly phosphorus), copper, some brasses, cast iron, copper alloys to each other or to ferrous metals. Applications include: Construction of parts such as pump vanes, gears, etc. Building up of worn parts: guides, slide blocks, valve seats. DIN 1733 : SG-CuAl 8 Ni 6 This nickel aluminium bronze filler alloy is used to weld bronze base metals (Particularly NiAl Bronze) and for overlaying onto steel and cast iron substrates. AI-1784 can also be used in some cases for joining these alloys to themselves or to steel. This alloy is particularly resistant to seawater environments and cavitation. Applications include: pump impellers and shafts, propellers, water turbines, propeller shafts etc. AI-1786-TDS AWS/ASME A5.7 ER CuSi-A This silicon bronze filler alloy is used to weld tin-bronze base metals, brasses and for overlaying onto steel and cast iron substrates. AI-1786 can also be used in some cases for joining these alloys to themselves or to steel. Applications include: pump impellers, skids, guides, endless screws, shafts, valve seats, bearings etc.